Before we start discussing the power of content marketing there are some simple things we need to understand. First of all there has to be a clear idea on what content marketing is and how much the scope of it has increased over the years. 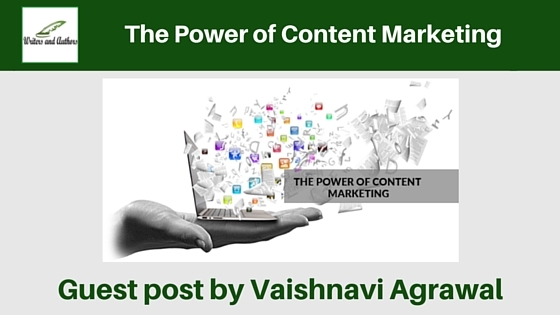 Content Marketing is basically an evolved method of marketing that recently bloomed along with the internet revolutionizing the business and marketing fields. Today content marketing is ranked second only to internet advertising in accelerated growth and is accounted more than 20 percent of the total marketing budget. Content marketing has seen only success in its further paths, often respawning the already created hype of creative marketing to even bigger heights and the idea has undoubtedly earned a high position over other marketing techniques. SEO is yet another fact that comes along with the idea of content marketing. SEO (Search Engine Optimization) is a powerful tool that allows search engines to prioritize you to any generic search requests and also inevitable improve your website ratings. 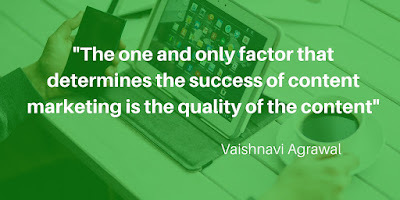 So along with a creative content quality for your website you also end up obtaining increased SEO ratings and hence content marketing becomes a win win situation for everybody. The one and only factor that determines the success of content marketing is the quality of the content, people are invariably subjected to trillions of data on the world wide web, so in order to stand out you should make it creative and catchy, the drive for creative methodologies in web design can serve only as a plate on which the content can be served, it’s the quality if the content that alone creates value for the marketing strategies. The major advantage of content marketing is that it makes everyone publishers, allowing the companies to freelance the work which makes it cheaper and also improves the quality of the content as it comes from a range of people with different culture and traditions rendering a distinguishable uniqueness to the article and thereby making it stand out. The ability of the marketers to obtain a worldwide audience without spending much as they do in the traditional form of advertising only increases the demand for the supply of quality content. The implications of cheap marketing reaching wider audience will be directly seen in the financial returns for any organization. The growing mistrust towards traditional media has only accelerated the growth of content marketing. 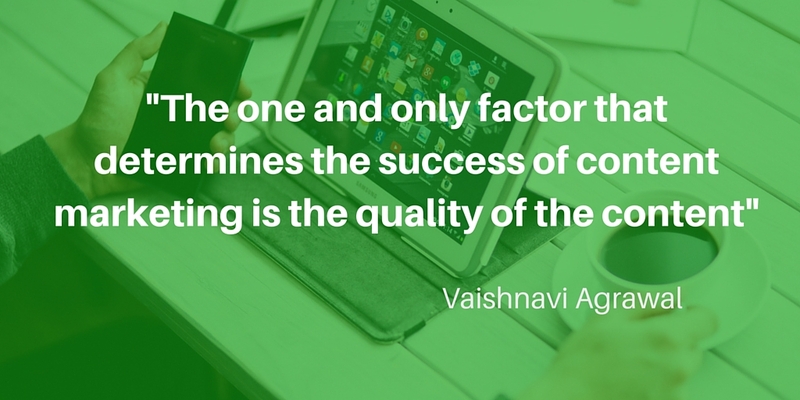 Even though it seems very feasible and easy on the outside, it’s not an easy task to create quality content. There are often ambiguity about factors such as copyright and plagiarism in content marketing. As more and more image providers are putting up more and more restrictions to the image copyright is becoming more and more difficult to small content providers to create a completely comprehensive article inclusive of pictures and data. It’s to be always remembered that Content marketing is a powerful tool to create big advertising and marketing platforms but also needs to be highly monitored in terms of plagiarism and copyright to prevent further lawsuits and cases. Good Luck. The courses offered by Intellipaat address the unique needs of working professionals. She is based out of Bangalore and has an experience of 5 years in the field of content writing and blogging. Her work has been published on various sites related to Hadoop, Big Data Training, Business Intelligence, Cloud Computing, IT, SAP, Project Management and more. I am highly thankful for this post. I’ve been looking everywhere for this! Thank kindness I found it on bloging effort. You’ve made my day! Thank you again!